Clearcreek Self Storage offers both climate controlled indoor storage units and non-climate controlled outdoor storage units. 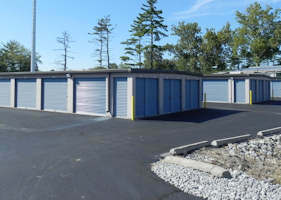 Storage units range in size from 5X5 to 10X30 and have 24 hour access and can be rented by the month. If you don’t know what size storage unit you need, see our sizing chart. If you pay in advance for 11 months, you get your 12th month free! The monthly rental prices shown below do not include applicable taxes. Monthly prices shown DO NOT include sales tax. Clearcreek Self Storage sells moving supplies for your convenience. We offer packing tape, bubble wrap, packing peanuts, padlocks, tape dispensers, and moving boxes in various sizes. Please contact us regarding your storage needs using the form below.